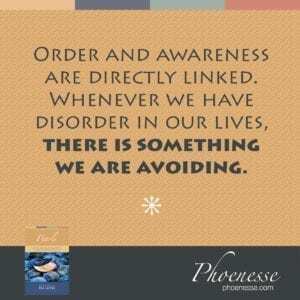 So someone who has their act pulled together is going to be an orderly person in their outer habits. They will be clean, not just in their body, but in their handling of daily life…Making messes then comes from our unconscious negative intention—our will to stay stuck. This may be a whole new vantage point from which to view disorder.